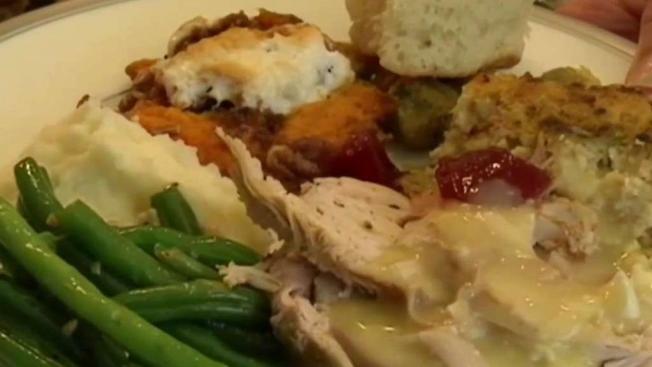 One type of talk many families are hoping to avoid at the dinner table this Thanksgiving is politics. So exactly how do you avoid it? Put a group of family members around a table, sometimes from different states, sometimes with vastly different opinions, throw in a couple of alcoholic beverages and start talking politics. What could possibly go wrong? NBC10 Boston asked holiday travelers at Boston's South Station if they would have politics on their Thanksgiving menu. While some consider political conversation a holiday tradition, others said no way. "My brother and my dad are really kind of like adamant about the points they want to make. So I just like stay away from that," said one man. "I'm one of the ones that I can talk without getting upset. But at the same time, some people get very upset," added another South Station traveler. "I kind of fall in the middle." Snezana Pejic of the Etiquette Academy says it's fine to talk politics at Thanksgiving dinner as long as you keep it positive and respectful. "Politics has become very stressful conversation. There are some people that thrive on conflict and that's the way that they communicate," said Pejic. One suggestion for avoiding political conversations is to try moving to the kid's table. And if all else fails, keep the topic on the food. "I'm going to be talking chitlins, ham, turkey," said one traveler at South Station. Pejic has one final piece of advice as families sit down to dinner: "When given a choice between being kind and being right, choose kind."